Cromer, one of our favourite local seaside towns, has taken two of its newest residents to its heart. 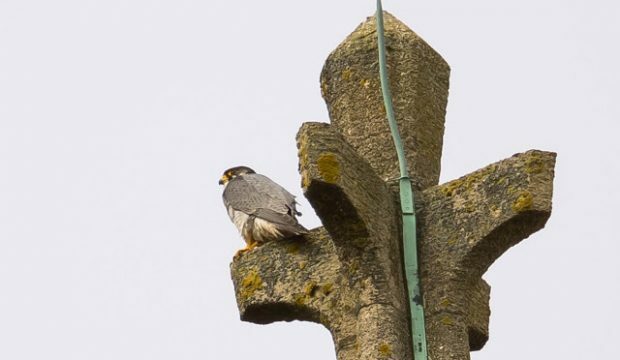 The North East Norfolk Bird Club recently installed a nesting box for Peregrine Falcons on the church of Saints Peter & Paul in the town centre. This is building off the great success of the nesting box installed on the spire of Norwich Cathedral a few years ago, which has resulted in many new Peregrines and even more happy birders. The good news is that the Cromer Peregrines seem to have taken to their new home, having been seen mating in the weeks since it was installed, so we’re keeping our fingers crossed that we’ll soon be hearing the flapping of tiny wings. If you want to keep updated with the residents of the spire, follow the NENBC or Peregrine photographer extraordinaire Chris Skipper on Twitter.